Muse Machine partners with leading artists and arts organizations to produce a series of performances for high schools and middle schools. Muse student members at participating schools enjoy several original programs each year that bring together theatre, music, dance and film with challenging curricular concepts. The performances run the length of a class period and schools invite all Muse members, or students from a particular grade, students from classes related to the subject of the performance, or even the entire school—it’s entirely up to the school. A Muse teacher/advisor at each school selects several performances from a larger menu, made available the previous spring. Registering for these in-school performances makes a high school or middle school a participating Muse Machine school. 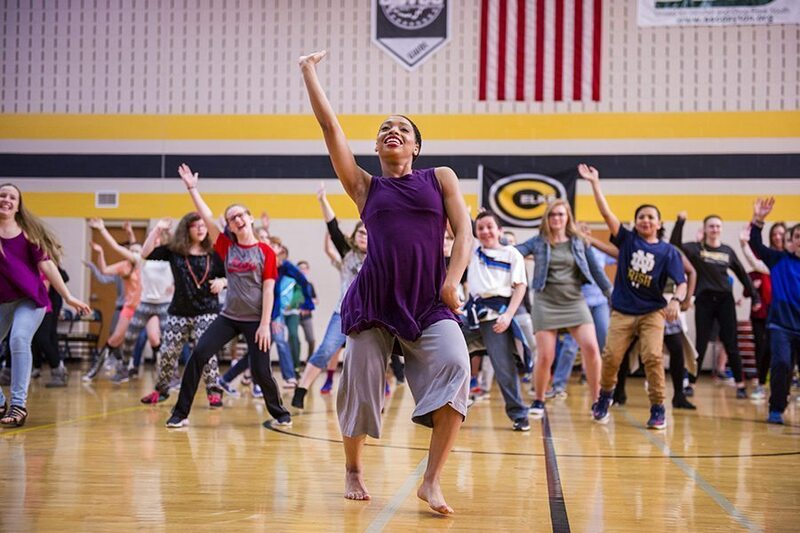 All of the other Muse benefits (out-of-school performances, student workshops and road trips, the Muse musical and concert, professional development for teachers and more) all become available to the students and teachers of the participating school!